Here in the northeast, we love to savor every last drop of spring and summer warmth. As we leave those chilly days of winter behind us and begin to enjoy the summer BBQs, the Pool and late-night fires, we look to the hottest trends in Outdoor Living in 2018. 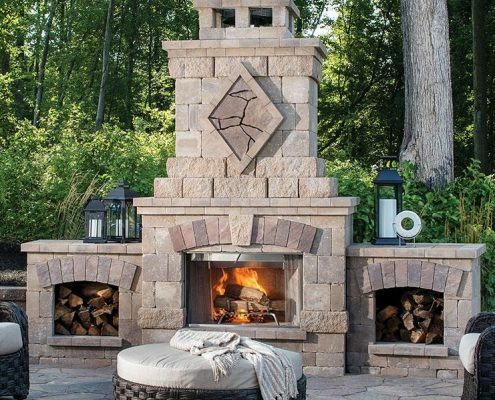 Year after year, fire pits and outdoor fireplaces take the top spot in outdoor renovations and homeowner envy. This beautiful combination of tumbled block, featuring Arbel and Urbana accents from Belgard Hardscapes makes a natural gathering place in your back yard. What better way to enjoy your backyard on those cool summer evenings, than with a few beautifully engineered outdoor heaters. Seamlessly blending in with the surroundings, these heaters will extend your evenings well into the night. Sit back and relax, grab a glass of wine, and create some memories. 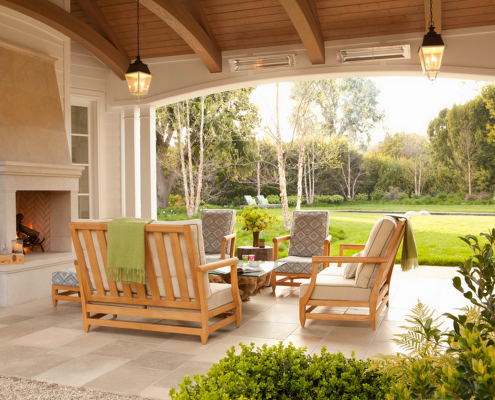 From water features to flowing fountains, many homeowners are maximizing their outdoor space by utilizing the calming power of nature. 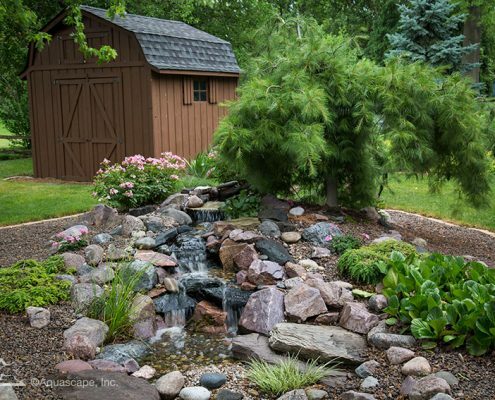 Use a mix of natural boulders, sustainable water feature systems, pondless systems, moss, pruned trees and bushes, and your imagination to create a beautiful oasis of your own.